Balance and harmony are what characterize new loan provider on the Kenyan market. Dedicated to all people who would like to follow their dreams Zenka launched easy and accessible application available on Google Play Store. Forget about bank queues and prolonged credit evaluations. At Zenka Finance, you are always the first in line. With the limit up to 20 000 KES, intuitive and user-friendly interface this new player might very soon become one of the key providers. disbursement of cash. There's an option to extend your repayment date. 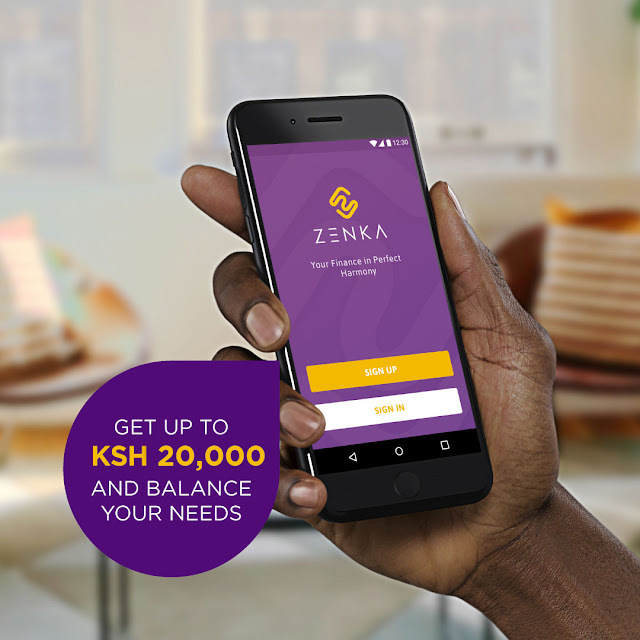 After downloading our app, choose how much money you need and sign up with Zenka. Your application will be evaluated, and when it is approved, you will receive money on your M-Pesa account. Timely repayment increases your credit limit and allows you to apply for higher amounts in the future. Loan extensions are a feature that gives you more control over your loan by letting you postpone your due date by 7, 14 or 30 days. To apply for a loan extension, the client needs to have an active loan that is not 30 days past due. Additional amounts are a flexible feature that allows you to top up your existing loan with extra cash, up to your current credit limit. To apply for the additional loan amount, the client needs to have an active loan and their loan principal must be below your credit limit. At Zenka Finance, we believe in people and their potential. We also know that every potential, every spark must sometimes be fed with instant cash so that ideas and needs can be realized. I don't like this kind of message from Zenka telling me that my Zenka loan is due. I don't have any loan from Zenka please. Stop this nonsense please.